Wealthcome Realty and Consultancy Firm is engaged in offering a solid avenue for your available investment fund. 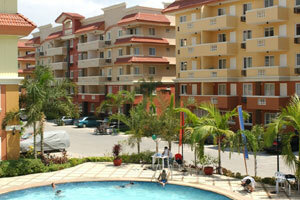 This avenue is in the form of real estate that will further improve your financial resources. We believe in the maxim that wealth multiplies in the right properties owned. In this website, we give some of the real estate properties waiting for you to own them. Alternatively, you may also give us your specifications of the properties you wish to invest in, and we will be glad to offer a leg assistance to look for them within a reasonable time. Remember, time is of the essence. Don't waste your funds and time in just looking at the investments presented. You decide what, where and when to invest in. Aside from investment advice, this firm may also open opportunities for you in obtaining the right financial assistance you need. We can assist you in the preparation of your loan documents for submission to the bank. The first residential condominium in Davao City.